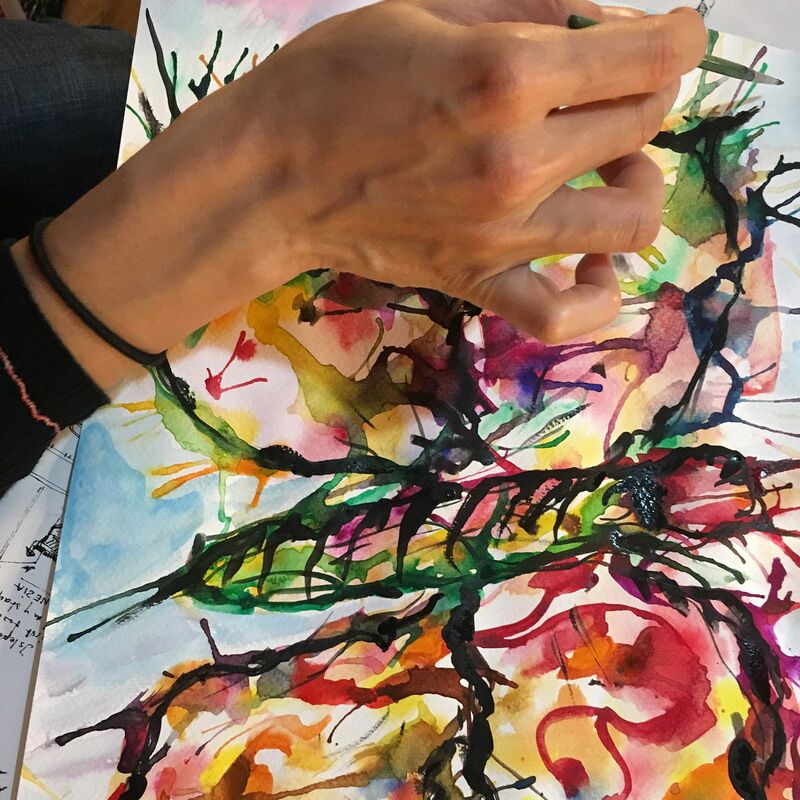 ‘Le soleil m’a dit’, a space to talk, to move, to discover, to act, to remember, to paint, to express, it is a space for your ‘Self’ where you can color your thoughts, write loudly, sing with colors, dance ‘salty-sweet’, fly with no wings. 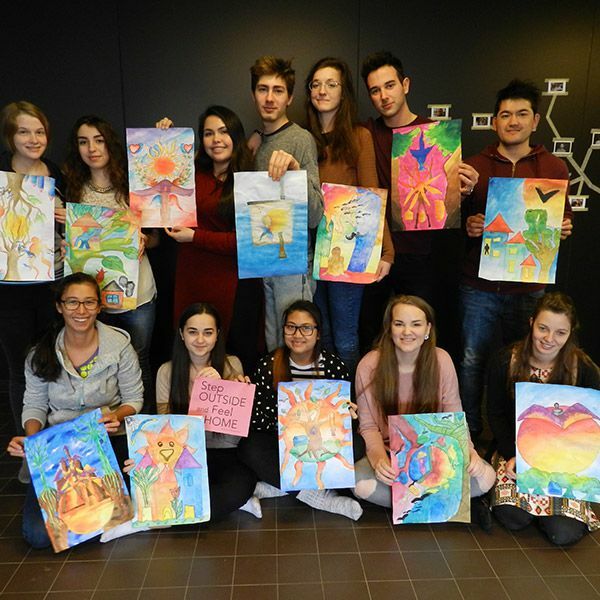 ‘Le soleil m’a dit’ offers well being through art workshops for individuals who are interested not only in learning art, but also in sharing experiences with other individuals. 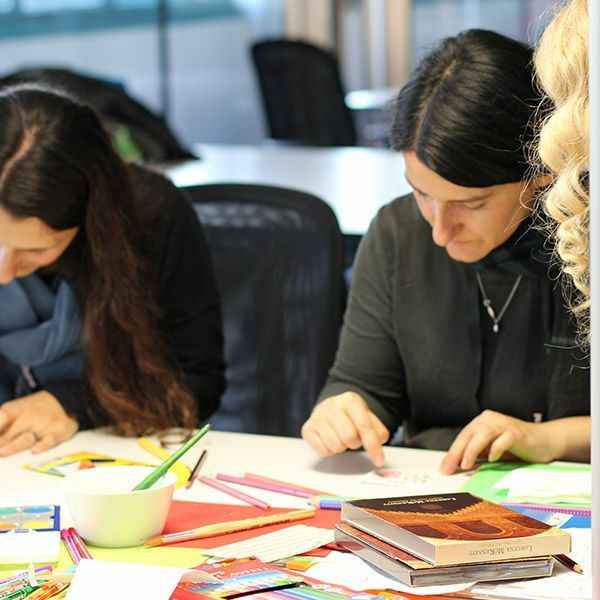 Every week, I define a theme (for example: Hope, patience, prejudice, etc…) that will be tackled in the 2 hours workshop. 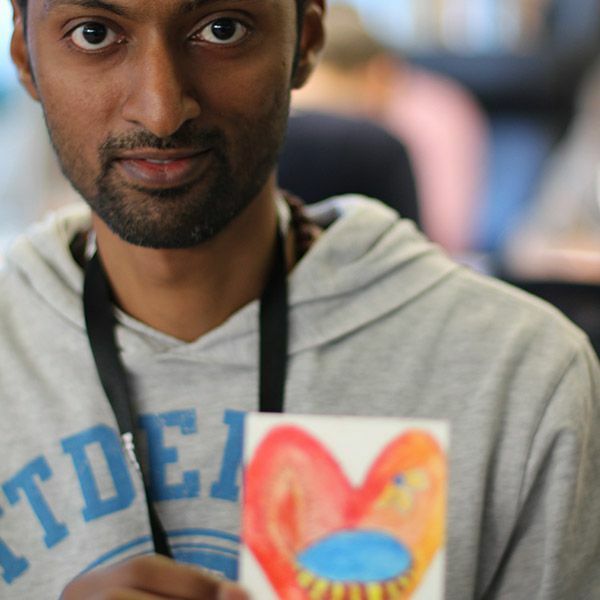 Together we try to understand more the topic, share our knowledge, and create an artwork based on that. While doing that the members enjoy great mood, music, and definitely food and drinks. The aim is to get every week a fresh look into life and happiness. View some [impressions for your inspiration. 150€ per month (4 sessions) or 45€ per session. incl. high quality material and light dinner and drink. 110€ per month (4 sessions) or 30€ per session. 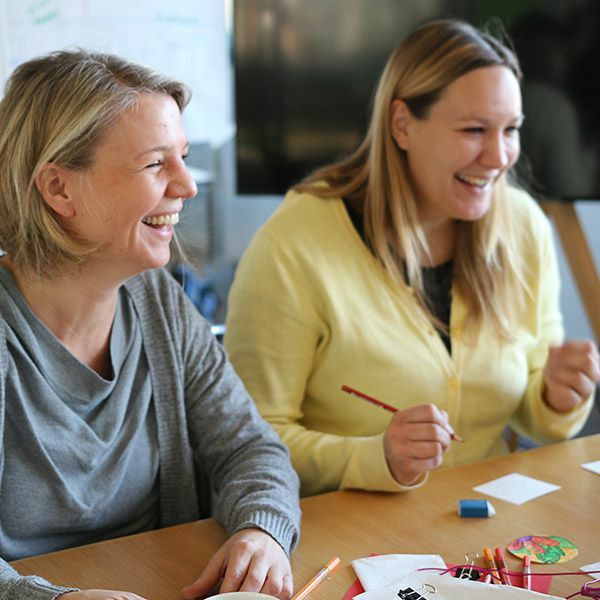 Companies need new ways of coaching and enhancing their team building, team empowerment, employee engagement, and uplift their team’s spirit. If your company is made out of a small team or a big team , ‘Le Soleil m’a dit’ inspires the ‘’ how to be’’, rather than the’’ how to do’’, and brings a new experience to explore the boundaries between art, emotions, senses, and body language. 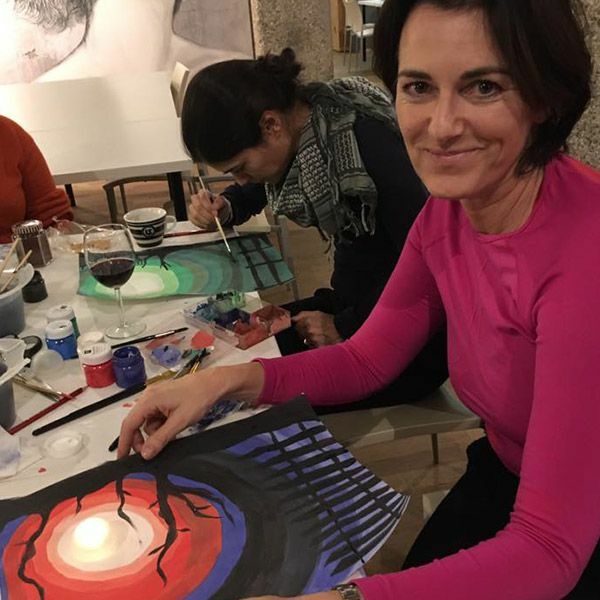 My personalised wellbeing through art session bonds your team members with their inner soul, with their mind and body balance, and their connection to their team members. 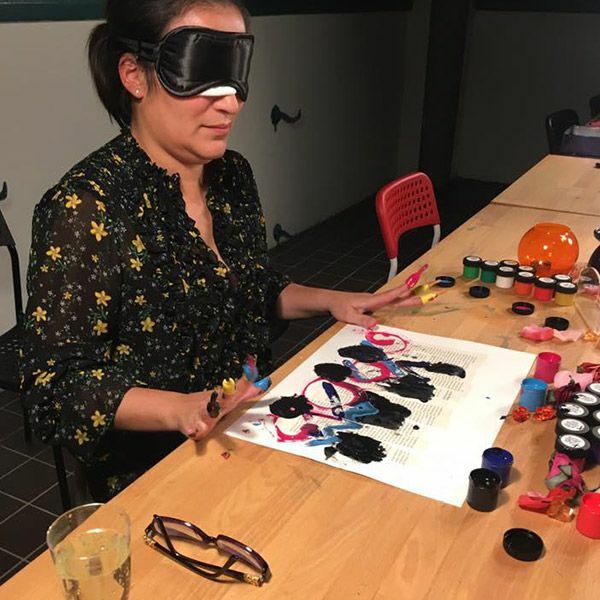 I will be working on a group while focusing on the individual, and that will lead to an inspiring outcome that focuses on change, that leads to creatively solving problems and that builds a connection between analogue, visual, and technical. Contact me for booking or knowing more details at 0660 3730503, souad@lesoleilmadit.com. Sessions range between half a day up to 2 days depending on the theme and the team’s size. Looking forward to meet you in person . Enjoy a special night with your family, friends or colleagues. 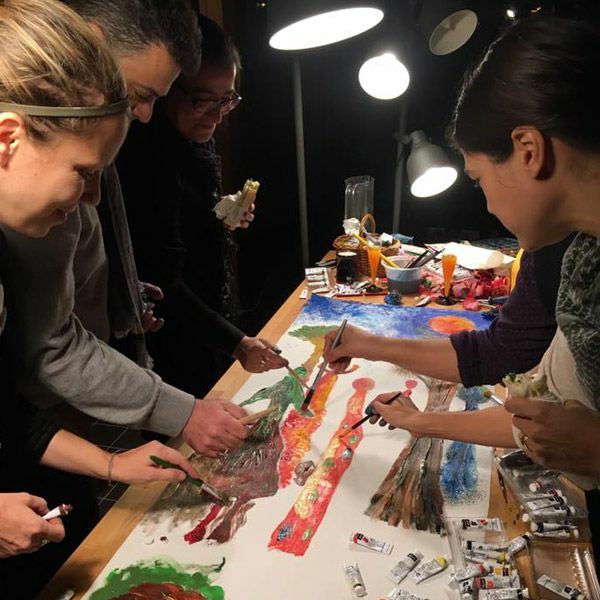 Be creative and experience happiness in a harmonious composition of art session and dinner. 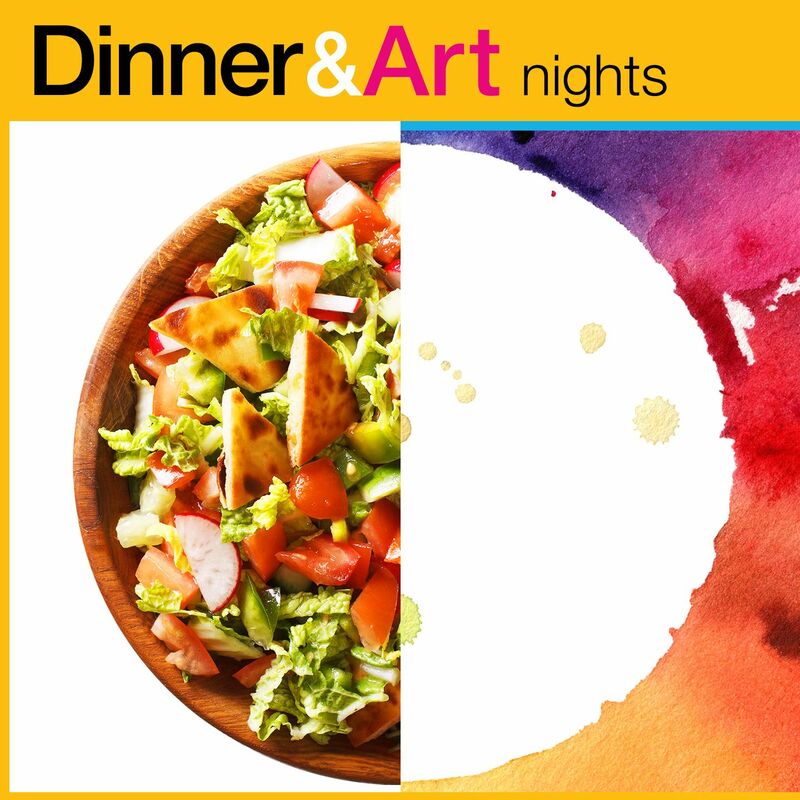 The cuisine is distinctive and creative which melts perfectly with the innovative art sessions. Make a reservation for 5 to 12 people.